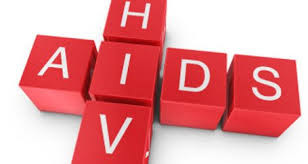 A fake medical practitioner, who infected a six-year old boy with HIV through contaminated blood transfusion, has been arrested by Nasarawa State Command of the Nigerian Security and Civil Defense Corps (NSCDC). The state Commandant, Bashir-Kano, who disclosed this, yesterday, while speaking with newsmen in Lafia, the state capital, identified the suspect as a 30-year old Jonathan Ibrahim. Bashir-Kano said that investigation into the case revealed that both the suspect and his wife tested positive to the virus. He said the command had concluded investigation, adding that the state government, through the Attorney-General have begun the prosecution of the suspect. “As we speak, the suspect has already been remanded at the Lafia prisons following his arraignment at the Upper Area Court in Doma on Tuesday, Aug. 1,’’ Bashir-Kano said. He said the command was working out modality to see how it could assist the boy’s family ameliorate his plight and called on spirited individuals to reach out to him through the command.